A Dutch icon for more than 120 years. Welcome to the Tour Populaire by Gazelle, a Dutch icon for more than 120 years with a modern 8 speed hub. 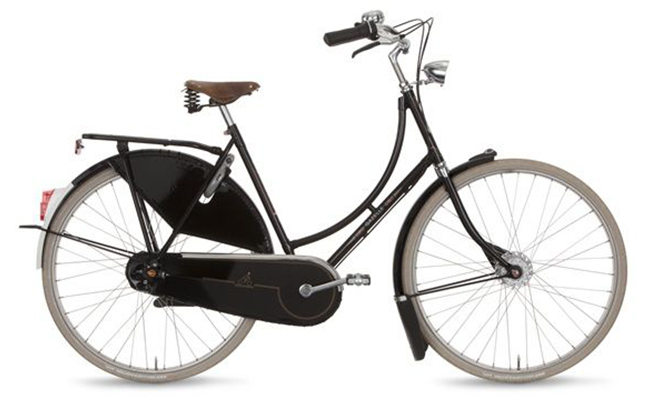 Made in Holland, sturdy steel frame, steel luggage carrier, stainless steel rims and spokes, cst tires, front & rear lights, rear wheel lock, 8 speed Shimano nexus, Shimano roller brakes, fenders, coat guards, enclosed chaincase. We personally deliver your bike fully built and ready to ride in Burlington, Oakville, Hamilton, Toronto & GTA. We box ship 95% built everywhere else. Come test drive a bike today or contact us for more information about our products. Thank you again for delivering our Milano yesterday. We all love it, especially Cedar.